Shortly before beginning the studio sessions for the upcoming 10th studio album "Construct", the band amicably parted ways with bassist Daniel Antonsson. The decision has been growing for a while, and the main reason is that Daniel wanted to focus on his own musical projects as well as working more in his recording studio. Being first and foremost a guitarist, he felt that the playing bass in a full-time band didn't allow him much time for his main instrument and true passion. With this in mind, he chose to follow his heart and step aside at this point instead of committing to another album and an intense touring cycle that would leave little room for other activities. We thanks Daniel for his years in the band - filled with great shows and amazing memories and experiences in all corners of the world - and wish him all the best with his future musical career. 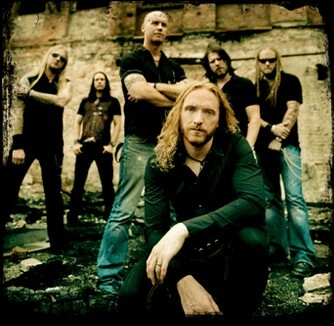 I want to thank the guys in Dark Tranquillity and the amazing D.T. fans around the world for the last four years of touring around the globe! It´s been awesome! Also a huge hug to the DT crew and all of the people working with us. I will miss you all very much! You are like family to me and I hope we will meet again soon! But...now is the time for me to follow my heart and again focus on my guitar playing and being a recording engineer/producer in my studio Gothenburg Rock Studios. We will meet again on the road or in the studio - that's for sure! Horns up and Cheerz! /Daniel.